With the SCB process, carbon dioxide (CO2) and/or hydrogen sulphide (H2S) are removed from gas streams. The SCB process is designed for gas sweetening at highest efficiency from various sour gases by using aqueous amine solutions (MDEA or MEA). 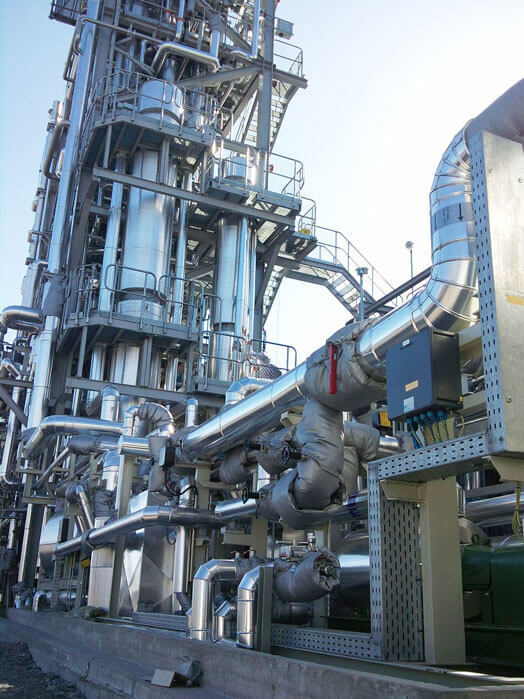 Sour gas coming from the battery limit is sent to the absorber, which is designed as a packed tower with an aqueous amine solution as scrubbing liquid. Downstream of the absorber, an aerosol filter is installed to avoid droplet entrainment into the sweet gas. 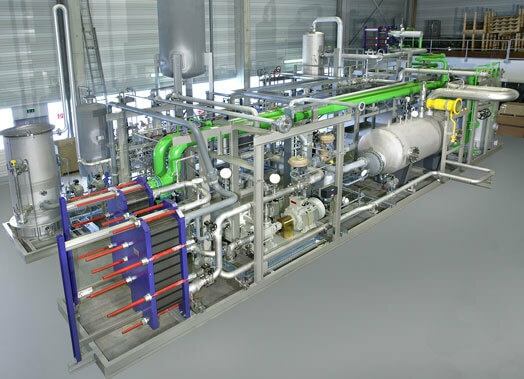 The CO2/H2S-enriched amine solution from the bottom of the absorber column is preheated and subsequently discharged to the regeneration unit which comprises a stripper and a reboiler. The stripper is designed as a packed tower. The rich solvent is partly regenerated due to pressure release and by stripping with steam generated in the reboiler, which typically is operated with import steam. The stripped CO2/H2S acid gas is sent to the battery limit after passing a cooler and condensate separator with demister. The condensed vapour is pumped back to the top of the stripper. The heat of the lean solvent leaving the reboiler is partly utilized for preheating the rich amine solution before it is cooled down to absorption temperature. After dosing of an anti-foam agent (optional), the lean solvent is pumped to the top of the absorber. A split stream of the lean solvent is sent to an activated carbon filter unit to remove degradation products of the amine solution and other impurities, if any. 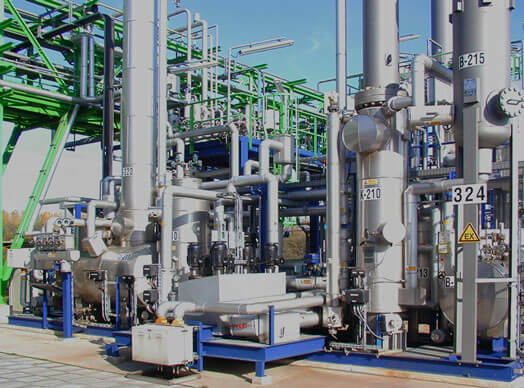 Gas Sweetening Plants by CALORIC are designed for easy access to all components to keep maintenance and routine check times low.The plants will be completely pre-assembled at CALORIC’s factory site prior to shipping.